The Weight and Parent item options both work as they do in Menus. 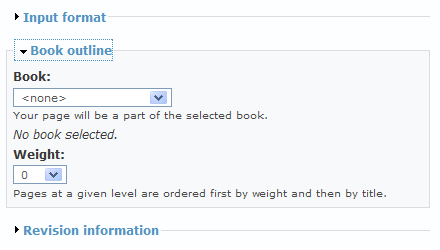 Outline options are unique to Books. 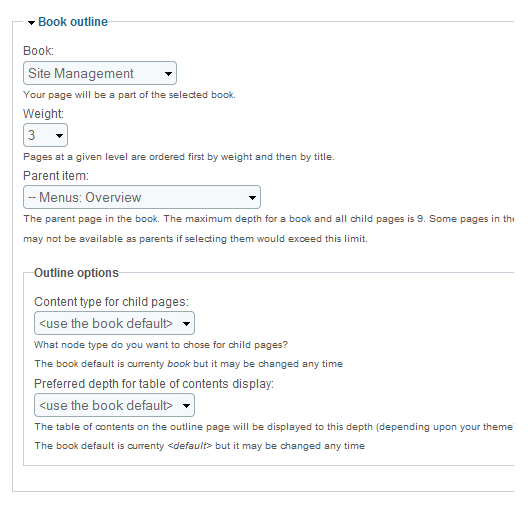 Content type for child pages defaults to "book." If you feel you need a different content type, your site administrator can create one. Preferred depth for table of contents display lets you control how detailed your table of contents will be. You can create subsections that are not reflected in your table of contents.